Ok that was cool. No really, very cool. So I went to Starbucks this morning to get my cup of Joe. 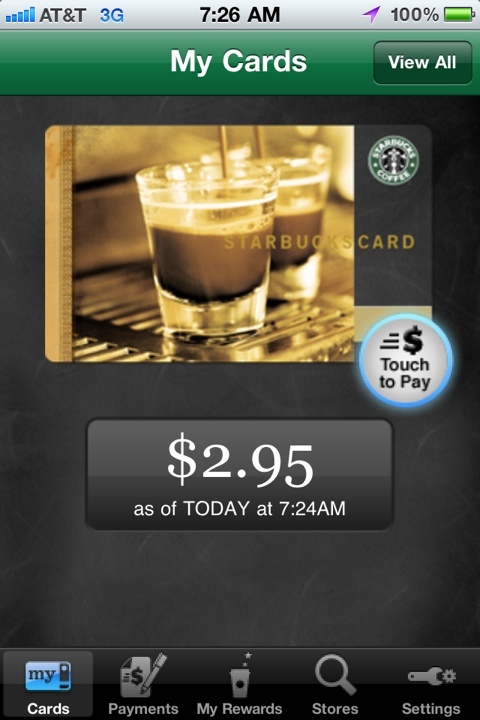 I had recently downloaded the Starbucks My Card app and was itching to try it. Well the itching may have been due to the lack of caffeine in my system. In any manner, the app allows you to input all of your Starbucks cards and then pay with your iPhone by the cashier scanning its screen. Yeah, it was pretty sick. Very easy, and the best part is every time you use it (or simply use a card you registered online) you get a star in their rewards program. 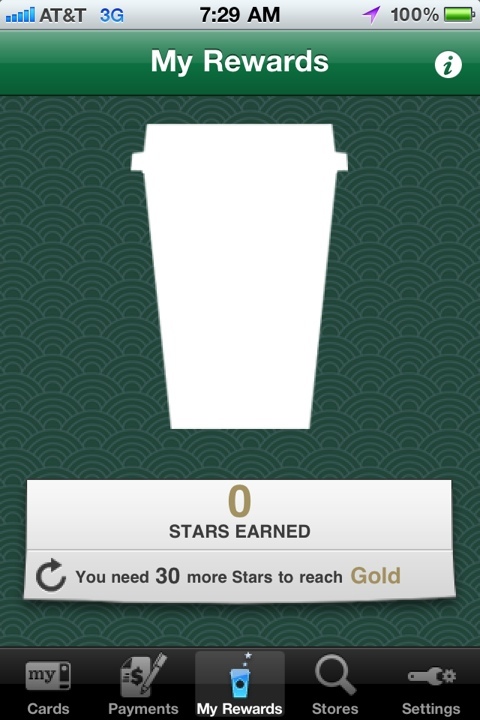 After every 15 stars you get a free drink, but there are many more perks than that with the program. You can find out more at Starbucks.com. This is definitely the future in how we pay for things, or at least how I will pay for my Starbucks. The cashier said that it is pretty slick, but you can’t do at the drive thru. You don’t want them dropping your phone.